The ultimate family fun boat trip! 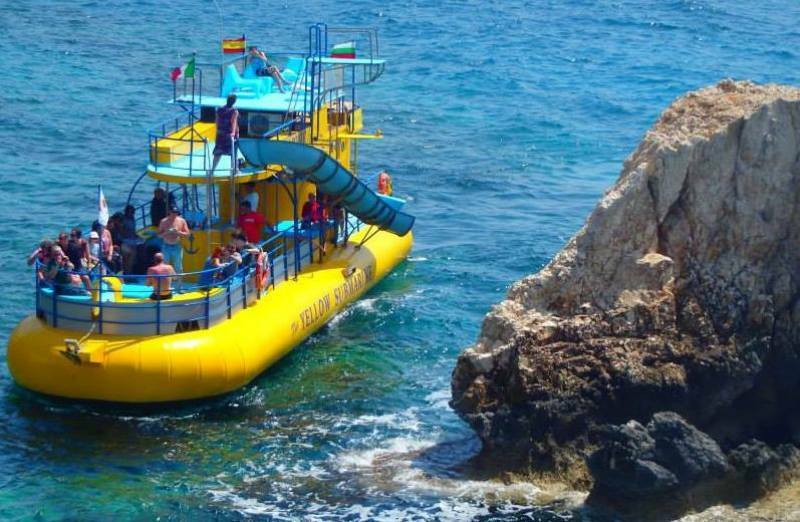 Set sail with Captain Yiorgis on his fun packed yellow submarine boat trip. 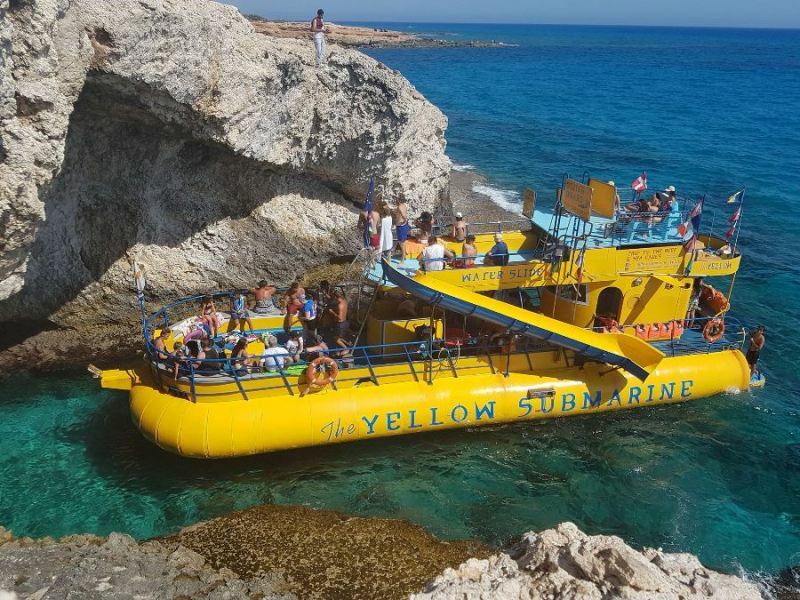 Perfect for families, this trip takes you from Ayia Napa harbour out to the famous Ayia Napa sea caves. Take a swim in the crystal clear seas of the Mediterranean. Snorkels, masks and life jackets are provided. 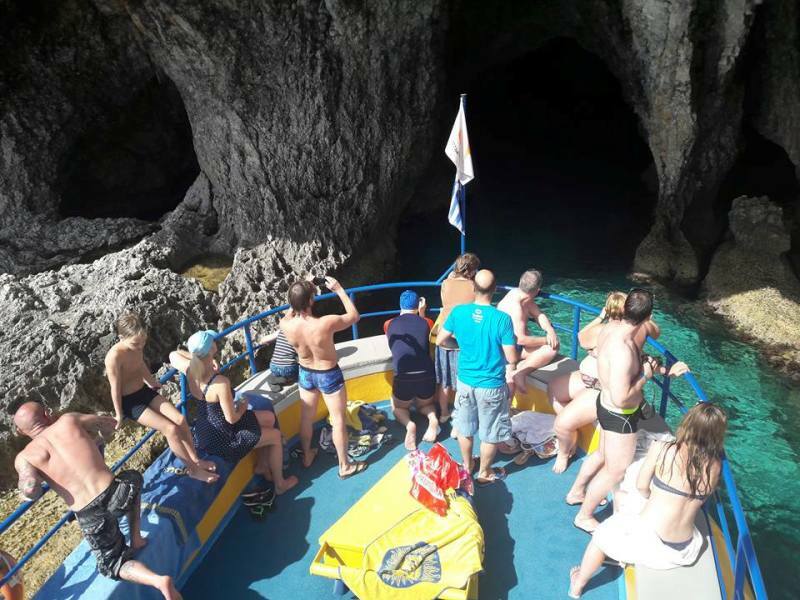 Explore the sea caves with the experienced crew and watch the amazing cliff diving. Top up your tan on the deck or be brave on the three level diving boards. 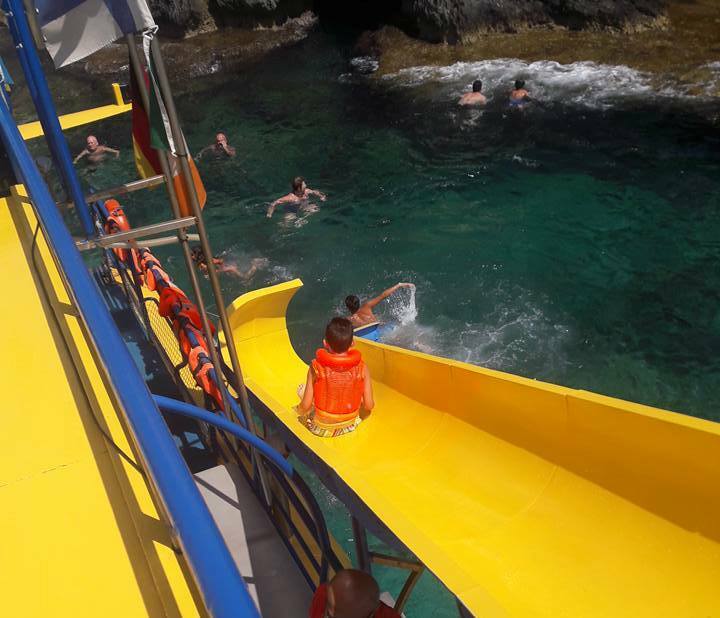 The Yellow Submarine is also the only boat in Cyprus with a slide which makes getting into the water that extra little bit more fun! One of the most popular features of this boat is the windows to the underwater world which will delight younger sailors. 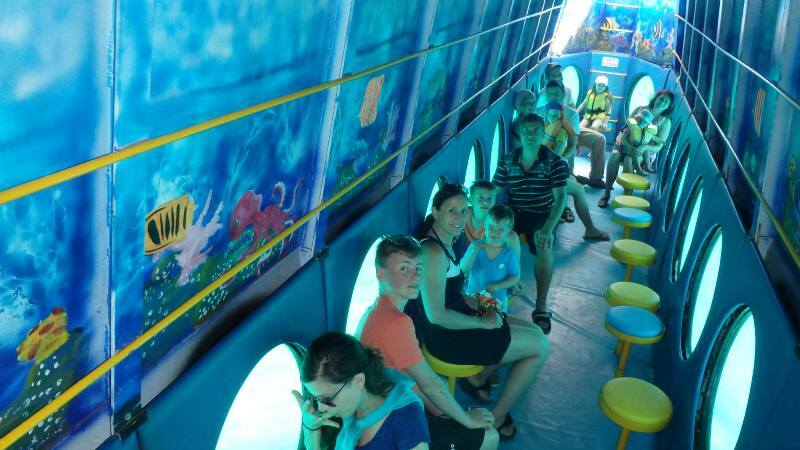 The air conditioned lower level of the boat has viewing portholes on both sides where you can watch the sea life with visibility up to 20 metres. Don't miss the fish feeding show! On the sailing back to the harbour, children will have the chance to sit with the captain and help him drive the boat. Surely the highlight of any young adventurers day! The Yellow submarine also serves cold drinks and crisps, there is a toilet on board and the staff are exceptionally friendly. Duration: Sailing 1 and a half hours approximately.